NARI. Consumer Shows Done Right. • Features a consumer education stage filled with engaging speakers and topics to inform the consumer, a resource center with NARI Certified Professionals to address specific consumer questions, special attractions and entertainment for a complete experience. • Attended by over 15,000 homeowners with a main demographic of men and women 35 to 64 years of age looking for home improvement, maintenance and remodeling products, services and ideas and contractors. • NARI Milwaukee invests over $85,000 in event specific media buys and $30,000 in marketing and PR through Local and cable TV – Radio – Milwaukee Magazine – Conley Media – M Magazine – Milwaukee Journal Sentinel – Mobile Targeting – JSOnline – Pay Per Click – Google Ad Words – Outdoor Digital Billboards – WTMJ TV Morning Blend – FOX6 WakeUp News & Real Milwaukee – Website - And More! • Event is supported and promoted through various Milwaukee outlets through press releases and media pitches. • Radio, TV and billboard advertising. • Print materials distributed through direct mail, vendor partners. • Digital ad on the event’s website with hyperlink to company website. • Digital ad included in email blasts. • Featured prominently on all event signage. • Opportunity to brand a unique area of the event as exclusively yours with negotiated booth space. • Opportunity for demonstration or presentation on Home Solutions Stage. • Featured prominently on event signage. • Opportunity to distribute product or giveaways during the event. • Opportunity to introduce all presenters throughout the show on respective stage. • Lounge includes free coffee for all exhibitors. Additional food and beverage can be negotiated into this package. • 3,000 rubber wrist bands with company name on them. Wrist bands must be worn by all exhibitors during the show. If possible, wrist bands will be made in sponsor’s logo colors. Milwaukee Magazine is a proud sponsor of and the official media partner for this year’s NARI Milwaukee Spring Home Improvement Show. This special February edition of Milwaukee Magazine will reach 180,076 monthly readers, with a total paid subscription count of 30,456 and sold on newsstands. In addition, an extra 7,500 copies will be handed out to the Spring Home Improvement Show attendees as the official show program. Milwaukee Magazine is the #1 local lifestyle magazine read with audience demographics of 51% female, 60% are married, 71% are between the ages of 25-64, 69% have a college degree or higher and 77% own a home. Whether participating as an exhibitor or not, this is the perfect opportunity to advertise your company with these discounted rates. Deadline is December 21, 2018. 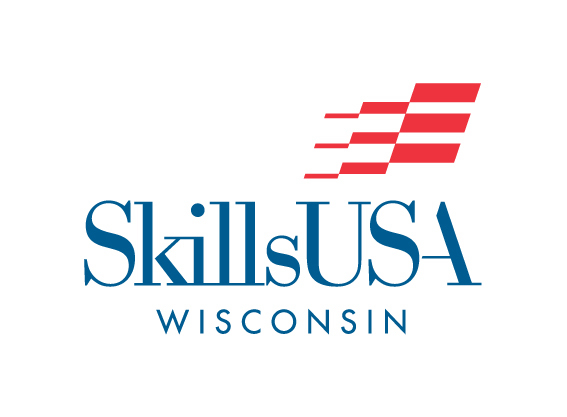 NARI Milwaukee, NARI Milwaukee Foundation and SkillsUSA are partnering to showcase the Team Works Carpentry State Competition on February 16 and 17 at the 57th annual NARI Milwaukee Spring Home Improvement Show. Up to 24 Wisconsin state high school teams consisting of four students will build a small residential structure demonstrating their preparation for employment in the remodeling trades. Teams must analyze project drawings, write an action plan, give a presentation and demonstrate their ability to work as a team performing carpentry, plumbing, electricity and masonry. Teams are judged by NARI Certified Professionals on cleanliness, timeliness, proper inventory of tools and equipment and execution of the project. The winning team will advance to the National Competition June 2019 in Louisville, KY. The 57th annual NARI Milwaukee Spring Home Improvement Show runs from February 15 – 17 where over 13,000 consumers meet and interact with top industry professionals in the remodeling industry. With 550 booth spaces filled by over 250 exhibitors it is largest member only trade show in the county. Click Here for the Sponsorship Deck.